The Auckland War Memorial Museum’s Armoury Information Centre, provides a rich resource for the study of New Zealand’s military history. 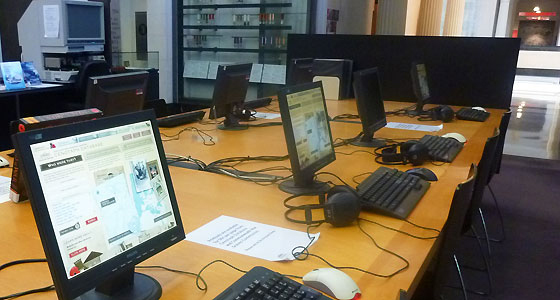 The main research tool provided by the Museum is its Cenotaph Database. The Cenotaph Database contains biographical records and some photos for over 135,000 deceased New Zealanders, many of whom gave their lives as a result of war. Although the main focus is World War One, there are entries for men and women who served in South Africa in the 19th century, through the First and Second World Wars to Korea, Malaya and Vietnam in the 1950s to 1970s, and even recent peacekeeping deployments. In addition, the Armoury staff can assist with further reasearch using a wide range of other resources that are available. This site is a consolidation of the internet resources available and provides an associated methodology for researching individuals who served in specific services and conflicts. To use this resource, follow the methodology defined for each conflict and service. Each step will often provide information required for the next step. Enjoy, and please “give back” by posting a blog of a website that should be added to this resource. In this way the value of the repository will increase. pleasant to read this website, and I used to pay a quick visit this website all the time. Why can I not open the digitised file of a WW1 serviceman when I double click his name in Cenotaph – extremely frustrating when it says ‘ loading’ – and doesn’t ? ?… and says select a file – and doesn’t ??? … so I go to help – no instructions on how or what to do ????? …. extremely frustrating !!!! The problem is caused by Archives New Zealand and their new digital retrieval system. Its not an issue with Cenotaph or Auckland War Memorial Museum website. Go to http://archway.archives.govt.nz and try from their and also send a help request through that website. They may be able to assist you directly. J. Toussaint (sous la dir. ), La phaléristique. Ordres. Rubans. Décorations, coll. Anhaive expo du Centre d’Archéologie, d’Art et d’Histoire de Jambes, n° 8, comprenant 240 pages (29,7 x 21 cm) illustrées de nombreuses photos et documents coul. et N/Bl. Ouvrage relié contrecollé. Prix : 40 € (+ frais de port). Toussaint J. (eds. ), The Phaleristics. Orders. Ribbons. Decorations, coll. Anhaive Expo Centre of Archaeology, Art and History Legs, No. 8, comprising 240 pages (29.7 x 21 cm) illustrated with many photos and coul documents. and D / Bl. Laminated hardcover. Price: 40 € (+ postage).